Natur-Tec’s primary research and development lab is located in Circle Pines, Minnesota. Here our engineers utilize powerful equipment to develop, analyze, and test our formulations, compounds, and finished products. Our team utilizes advanced in-house technology to create innovative, performance compounds. 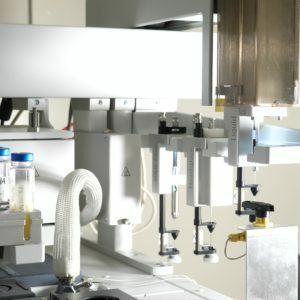 Natur-Tec engineers use a wide array of equipment for product development, quality control, and benchmarking. Natur-Tec® researches and develops biobased and compostable formulations, compounds, and products in the United States, Europe, and Asia. We conceptualize, create, and improve our products based on changing market demands and needs, legislation, and our commitment to provide the highest performing products. Our team has a yeas of experience working in collaboration with global brand owners to develop commercialize advanced technology. Our world-class labs use the most modern technology to research and test our formulations. 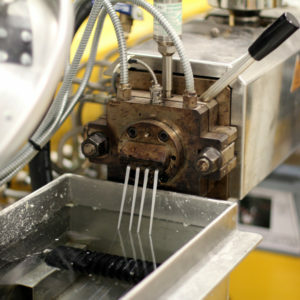 Our engineers utilize in-house technology to produce and test our products and their applications. We believe quality and consistency are keys to success. 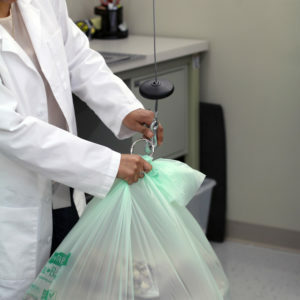 All of our resins, films, and cutlery are tested prior to delivery to the client. We ensure our products adhere to relevant ASTM and global standards, all formulations are correct and accurate, and product performance meets or exceeds our standards. Our Quality Control team uses advanced tools to test all Natur-Tec® products. Our in-house testing equipment includes (but not limited to) an Instron 5544 Universal Testing Machine, Benz Falling Dart Tester, Digitalized Thwing-Albert Elmendorf Tear Tester, TMI XNR-400 Melt Flow Tester, and tools to test load capacity. Cutlery: Compressive extension and rigidity, both in and out of hot water. Natur-Tec® biopolymer resins are produced using NTIC’s proprietary ReX Process. 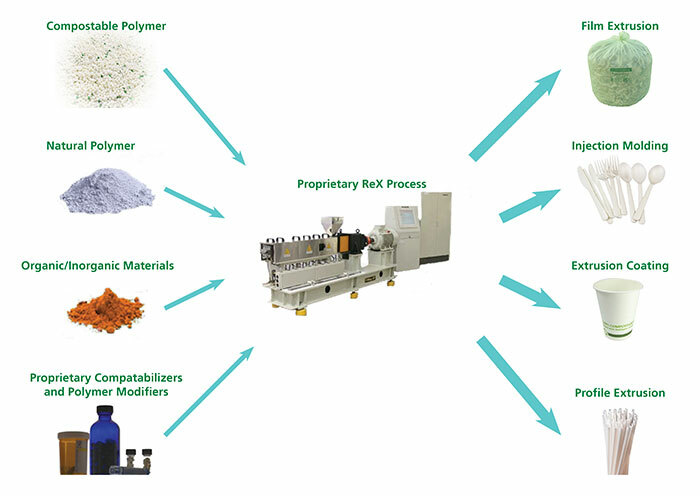 In this process, biodegradable polymers, natural polymers, organic and inorganic materials are reactively blended in the presence of proprietary compatibilizers and polymer modifiers to produce biobased and compostable polymer resin formulations that exhibit unique and stable morphology. Natur-Tec® biopolymer resins are engineered for high performance, ease of processing, reduced cost and can easily be processed by converters using conventional manufacturing processes and equipment. Natur-Tec® biopolymer resins are available in several grades tailored for a variety of applications such as film extrusion, extrusion coating, injection molding and rigid, engineered plastics.